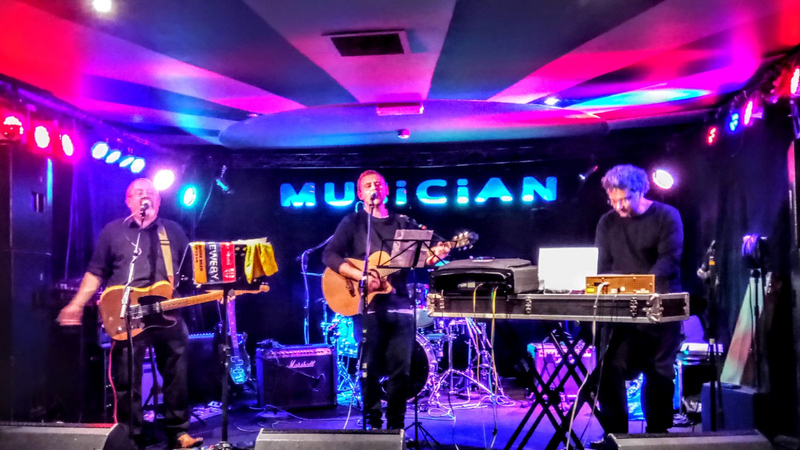 a2RK are an exciting and innovative Progressive Rock band from Leicester, UK. WE NEED A BASS PLAYER for forthcoming gigs in 2019! We record and release our own material, and occasionally perform live. 2 EPs produced so far, 2 more planned this year. Interested? Contact us at www.arkcreativity.com or a2RK@doofish.plus.com or 07812 201836. We have our own individual kits, plus recording studio, mixing desk, monitors, etc. Papillon ThemeCopyright a2RK 2016, all rights reserved. a2RK are proud to announce their first release: a 3 song EP entitled 'Papillon'. The first track 'Papillon Theme', is the original instrumental labour of love, which sets the mood of the EP. This is followed by 'Wings Of Hope', a 70’s progressive-style rock'n'roller which takes the symbol of hope of Papillon and really gives it some air. The last track is 'St. Martins West', reflecting on memories of growing up in 70’s Leicester within a symphonic, majestic rock song. The band feels that these 3 songs really define where they are at - but this is only just the beginning. Each member of a2RK contributes to the writing and arrangement of songs as well as being accomplished vocally and musically on different instruments; so stay tuned for more a2RKnews as the band continue to polish, hone, refine and release their material throughout 2017 and beyond... Personnel……... Vocals, Guitars, Keys/Kelvyn Martin Keys, Guitars, Production/Roy Naidoo Bass, Drums, Guitars, Vocals/Andy Heggs Drums, Guitars, Vocals	/Adi Barrett Background........... a2RK came about directly as a result of Theresa's (Kelvyn’s missus) cancer treatment in 2012; ""Papillon Contact Radiotherapy. By delivering high doses of treatment quickly and painlessly directly to the tumour, Papillon gives bowel, skin & other accessible tumour cancer patients a real choice. 40,000 people a year get bowel cancer, nearly 9000 have surgery. If eligible, Papillon avoids the high operative mortality (10-20%) and morbidity (30-50%) especially in the elderly which radical surgery can pose. Papillon is also used in the treatment of some skin cancers & inter-operative breast cancer."" During a chance conversation with Theresa’s consultant Professor Sun Myint (Head of the Papillon project at Clatterbridge Cancer Clinic) in 2013, Kelvyn was asked to compose an inspirational piece of music for Papillon, to apply his creative genius through those extremely tough days and to raise the profile of this amazingly life-changing radical treatment within the public domain. Taking inspiration from Mark Davies' "Saving My Arse (Bowel Cancer: A Survivor’s Story)", Kelvyn contacted Roy in the summer of 2014 (a self-proclaimed proggy tech-head) whom he had collaborated with on various projects over the previous 20 years. Throughout 2015 they worked on refining these ideas and fashioning them into recognisable musical arrangements - a truly productive and enlightening time. By the end of 2015, the theme of “an expression of hope” had metamorphosed (like the proverbial Papillon) from the seeds of these original ideas into a collection of song demos. Their desire was to develop the demos with the collaboration of fellow musicians in order to crystallise the distilled creative juices into a more robust structure of a band set up, which in early 2016 resulted in fellow multi-talented multi-instrumentalists Andy and Adi completing the current line-up of the band, eponymously creating the band's name: Adi-Andy-Roy-Kelvyn, or a2RK. Wings Of HopeCopyright a2RK 2016, all rights reserved. a2RK are proud to announce their first release: a 3 song EP entitled 'Papillon'. The first track 'Papillon Theme', is the original instrumental labour of love, which sets the mood of the EP. This is followed by 'Wings Of Hope', a 70’s progressive-style rock'n'roller which takes the symbol of hope of Papillon and really gives it some air. The last track is 'St. Martins West', reflecting on memories of growing up in 70’s Leicester within a symphonic, majestic rock song. The band feels that these 3 songs really define where they are at - but this is only just the beginning. Each member of a2RK contributes to the writing and arrangement of songs as well as being accomplished vocally and musically on different instruments; so stay tuned for more a2RKnews as the band continue to polish, hone, refine and release their material throughout 2017 and beyond... Personnel……... Vocals, Guitars, Keys/Kelvyn Martin Keys, Guitars, Production/Roy Naidoo Bass, Drums, Guitars, Vocals/Andy Heggs Drums, Guitars, Vocals	/Adi Barrett Background........... a2RK came about directly as a result of Theresa's (Kelvyn’s missus) cancer treatment in 2012; ""Papillon Contact Radiotherapy. By delivering high doses of treatment quickly and painlessly directly to the tumour, Papillon gives bowel, skin & other accessible tumour cancer patients a real choice. 40,000 people a year get bowel cancer, nearly 9000 have surgery. If eligible, Papillon avoids the high operative mortality (10-20%) and morbidity (30-50%) especially in the elderly which radical surgery can pose. Papillon is also used in the treatment of some skin cancers & inter-operative breast cancer."" During a chance conversation with Theresa’s consultant Professor Sun Myint (Head of the Papillon project at Clatterbridge Cancer Clinic) in 2013, Kelvyn was asked to compose an inspirational piece of music for Papillon, to apply his creative genius through those extremely tough days and to raise the profile of this amazingly life-changing radical treatment within the public domain. Taking inspiration from Mark Davies' "Saving My Arse (Bowel Cancer: A Survivor’s Story)", Kelvyn contacted Roy in the summer of 2014 (a self-proclaimed proggy tech-head) whom he had collaborated with on various projects over the previous 20 years. Throughout 2015 they worked on refining these ideas and fashioning them into recognisable musical arrangements - a truly productive and enlightening time. By the end of 2015, the theme of “an expression of hope” had metamorphosed (like the proverbial Papillon) from the seeds of these original ideas into a collection of song demos. Their desire was to develop the demos with the collaboration of fellow musicians in order to crystallise the distilled creative juices into a more robust structure of a band set up, which in early 2016 resulted in fellow multi-talented multi-instrumentalists Andy and Adi completing the current line-up of the band, eponymously creating the band's name: Adi-Andy-Roy-Kelvyn, or a2RK. St. Martins WestCopyright a2RK 2016, all rights reserved. a2RK are proud to announce their first release: a 3 song EP entitled 'Papillon'. The first track 'Papillon Theme', is the original instrumental labour of love, which sets the mood of the EP. This is followed by 'Wings Of Hope', a 70’s progressive-style rock'n'roller which takes the symbol of hope of Papillon and really gives it some air. The last track is 'St. Martins West', reflecting on memories of growing up in 70’s Leicester within a symphonic, majestic rock song. The band feels that these 3 songs really define where they are at - but this is only just the beginning. Each member of a2RK contributes to the writing and arrangement of songs as well as being accomplished vocally and musically on different instruments; so stay tuned for more a2RKnews as the band continue to polish, hone, refine and release their material throughout 2017 and beyond... Personnel……... Vocals, Guitars, Keys/Kelvyn Martin Keys, Guitars, Production/Roy Naidoo Bass, Drums, Guitars, Vocals/Andy Heggs Drums, Guitars, Vocals	/Adi Barrett Background........... a2RK came about directly as a result of Theresa's (Kelvyn’s missus) cancer treatment in 2012; ""Papillon Contact Radiotherapy. By delivering high doses of treatment quickly and painlessly directly to the tumour, Papillon gives bowel, skin & other accessible tumour cancer patients a real choice. 40,000 people a year get bowel cancer, nearly 9000 have surgery. If eligible, Papillon avoids the high operative mortality (10-20%) and morbidity (30-50%) especially in the elderly which radical surgery can pose. Papillon is also used in the treatment of some skin cancers & inter-operative breast cancer."" 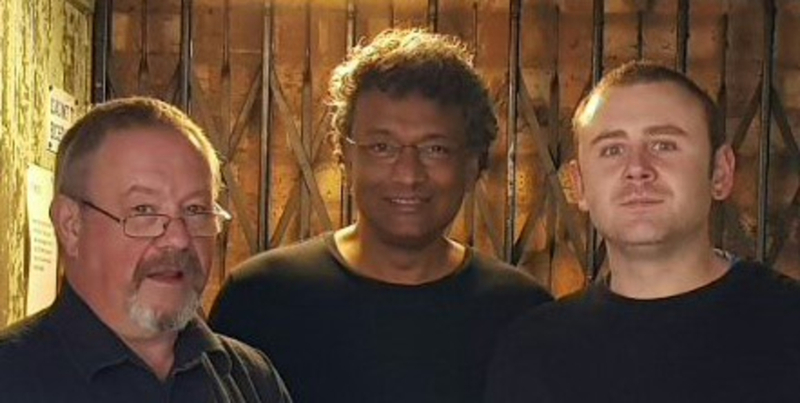 During a chance conversation with Theresa’s consultant Professor Sun Myint (Head of the Papillon project at Clatterbridge Cancer Clinic) in 2013, Kelvyn was asked to compose an inspirational piece of music for Papillon, to apply his creative genius through those extremely tough days and to raise the profile of this amazingly life-changing radical treatment within the public domain. 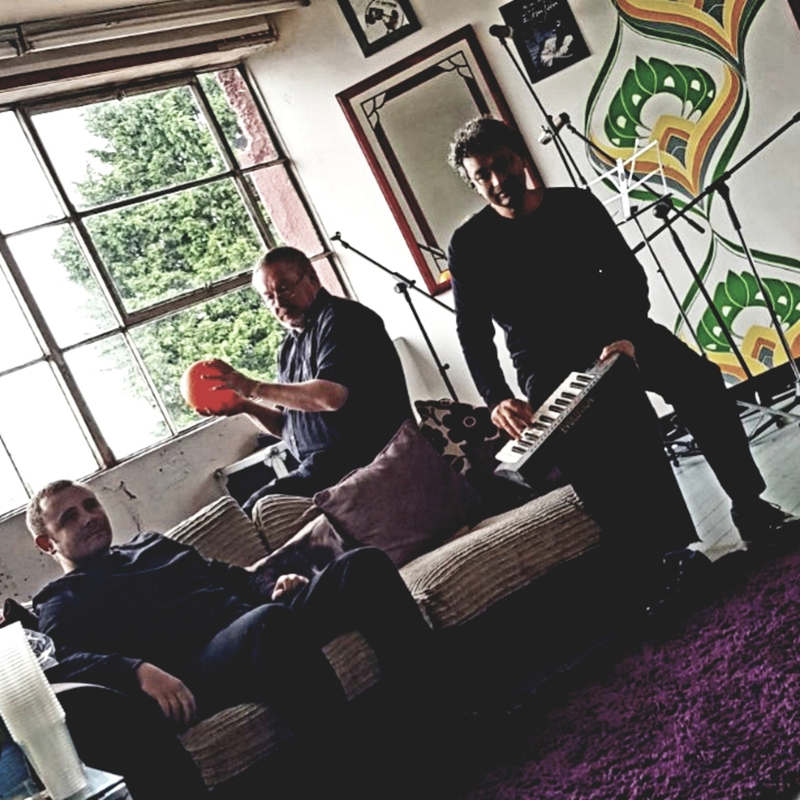 Taking inspiration from Mark Davies' "Saving My Arse (Bowel Cancer: A Survivor’s Story)", Kelvyn contacted Roy in the summer of 2014 (a self-proclaimed proggy tech-head) whom he had collaborated with on various projects over the previous 20 years. Throughout 2015 they worked on refining these ideas and fashioning them into recognisable musical arrangements - a truly productive and enlightening time. By the end of 2015, the theme of “an expression of hope” had metamorphosed (like the proverbial Papillon) from the seeds of these original ideas into a collection of song demos. 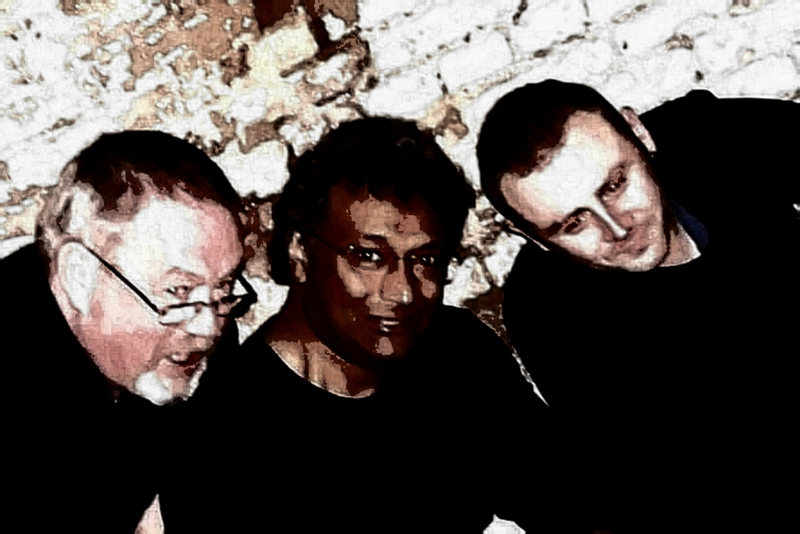 Their desire was to develop the demos with the collaboration of fellow musicians in order to crystallise the distilled creative juices into a more robust structure of a band set up, which in early 2016 resulted in fellow multi-talented multi-instrumentalists Andy and Adi completing the current line-up of the band, eponymously creating the band's name: Adi-Andy-Roy-Kelvyn, or a2RK.